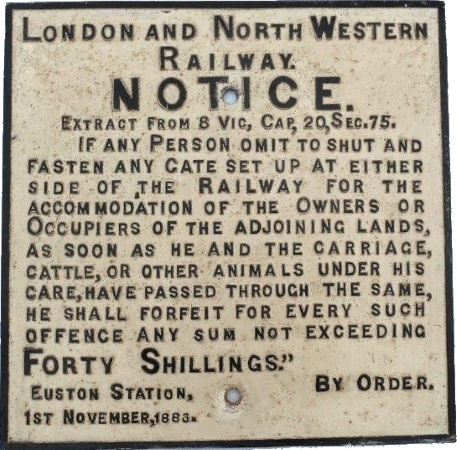 Lot 28 C/I LNWR Trespass Notice 11 Lines of text - Euston Station 1st November 1883. Front Restored. Sixe 18" x 18".